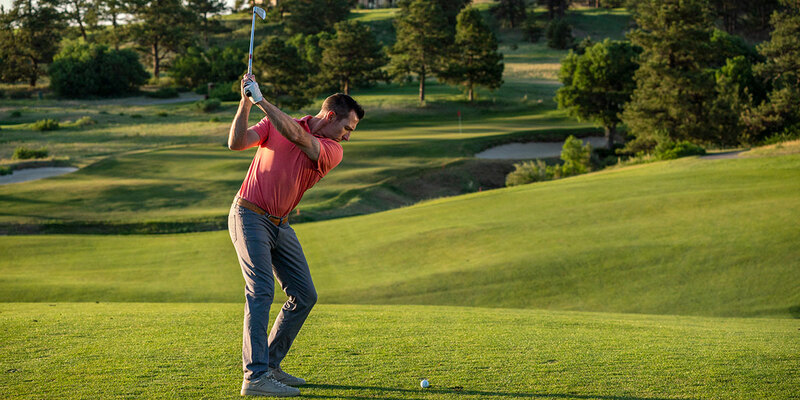 It seems like every golfer wants to be the big hitter off of the tee. Maybe that’s because we watch guys like Cameron Champ send 190 MPH rockets down tight fairways every weekend. Or maybe it’s the simple fact that added distance sets us up to shoot lower scores. Either way, it’s no secret an increase in distance is a huge advantage – and we’re not just talking about the driver. You get just as much of an edge by gaining iron distance. Before we get to the instruction, let’s talk about clubs. There’s no doubt that new drivers are made to maximize distance. But it doesn’t stop there. 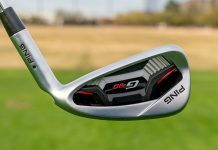 New tech in irons not only helps golfers hit the ball higher and straighter, but get more distance out of each club, too. 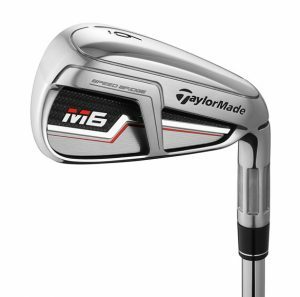 Take the new TaylorMade M5 and M6 irons, for example. 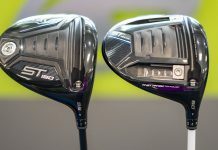 TaylorMade’s new Speed Bridge technology adds ball speed and forgiveness by helping the face flex more at impact for more energy transfer to the golf ball. 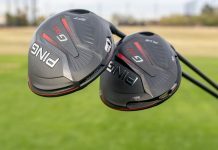 Similar technologies are present in other manufacturers’ clubs as well, and the resulting distance gains across the board are something generations-old irons just don’t offer. Point is, if you’re playing irons that are more than few years old, you’re missing out on distance. 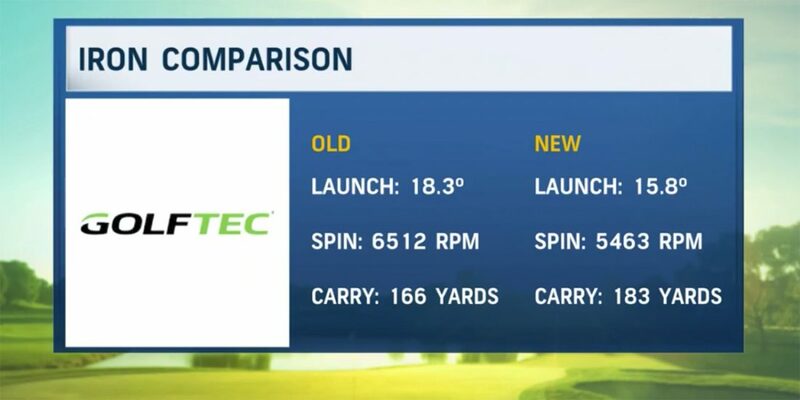 The example below shows the results from a recent GOLFTEC club fitting with a golfer who picked up 17 yards, just by getting properly fitted for the latest technology. Seventeen yards! 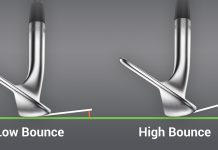 Now that we’ve discussed your tools, let’s talk about the person operating them and biggest contributor to short iron shots: the dreaded slice. 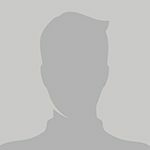 The technical cause of a slice is that the clubface is positioned open, or to the right (for right-handers), of the swing path at impact. 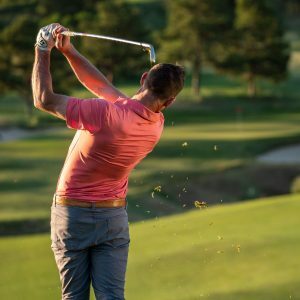 While many factors contribute to a slice, two common causes can be tied to having a “weak” grip and poor wrist positions. So, the first adjustment a slicer should make is to use a more draw-biased grip. 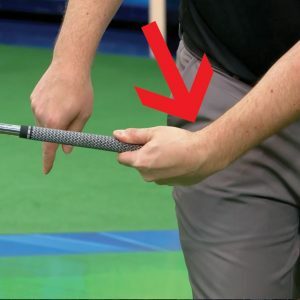 This translates to creating a stronger grip, which is achieved by rotating your hands (use your thumbs as a reference point) away from the target at address. 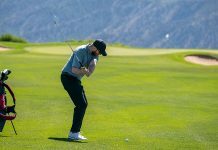 A stronger grip encourages the clubface to stay closed in relation to swing path throughout the swing and, most importantly, at impact. The second adjustment surrounds the idea that the average slicer extends, or cups, their lead wrist during the swing. 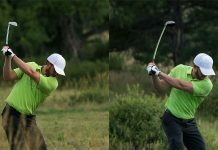 This not only encourages an open clubface to the swing path, but also produces more loft (and spin loft) at impact. While that’s a great recipe for hitting a flop shot or bunker shot, it’s not so ideal for full swings. 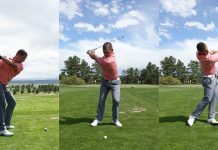 The path to hitting longer iron shots can instead be attained by flexing, or bowing, the lead wrist throughout the backswing and downswing. 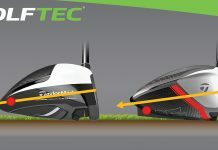 Doing so will help you maintain more control over the clubface and keep spin loft down, which was illustrated by the “New” launch conditions in the GOLFTEC club fitting graphic above. Adding distance with your irons may seem like an impossible feat, but it isn’t rocket science. 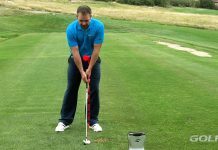 Tacking on yards to your 7-iron can be as simple as testing new iron technology and reversing some of the key characteristics that lead to a slice. Of course, this won’t be solved overnight. 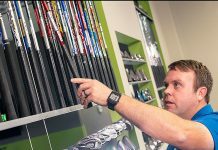 But with some diligent practice and the aid of a GOLFTEC Coach who can analyze your equipment and your golf swing, your iron distance will soon increase in a potentially major way.